The aim of this game is to win fish! 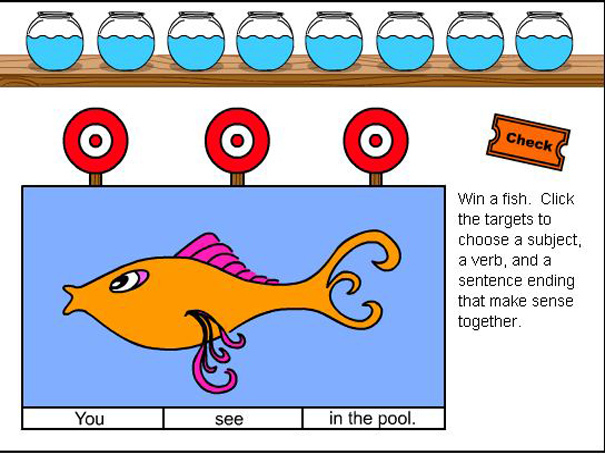 Click the targets and get the ball to change the subject, verb, or sentence ending. Check each one and change until you can form a correct sentence. For each one you get right you win a fish! Can you fill all the bowls and win 8 in a row?